Master-Turf Farms Inc. Master-Turf Farms Inc.
With over a decade of experience, we know you will be happy with the quality of service we provide. Custom delivery of sod with unloader available. Sod installation with site prep work as needed, including laser leveling. Construction and renovations of golf course tees, sand traps, greens, and fairways. Shaping, elevation and drainage corrections for golf courses and sports fields. 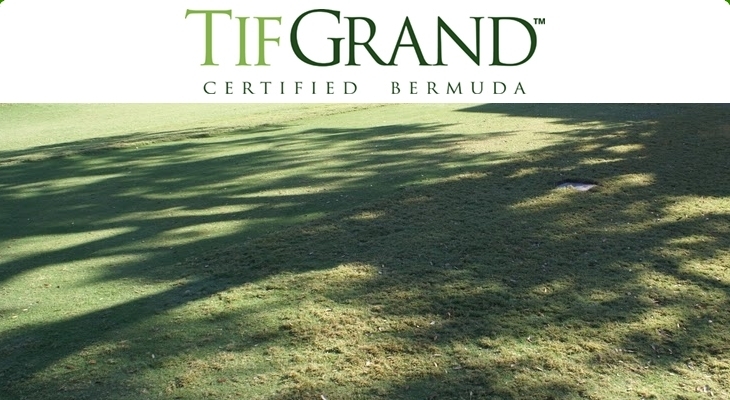 TifGrandTM is a new type of Bermudagrass that is specifically designed to withstand 60-70% continuous shade as well as full sun. It has a reduced water and fertilizer requirement and is resistant to insects. This new sod can only be grown as a certified sod which requires a license. We service all of Florida.